/Earn Space /I have a referral code, where should I enter it? 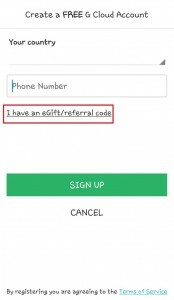 The referral code should be entered in the Sign Up page of G Cloud. 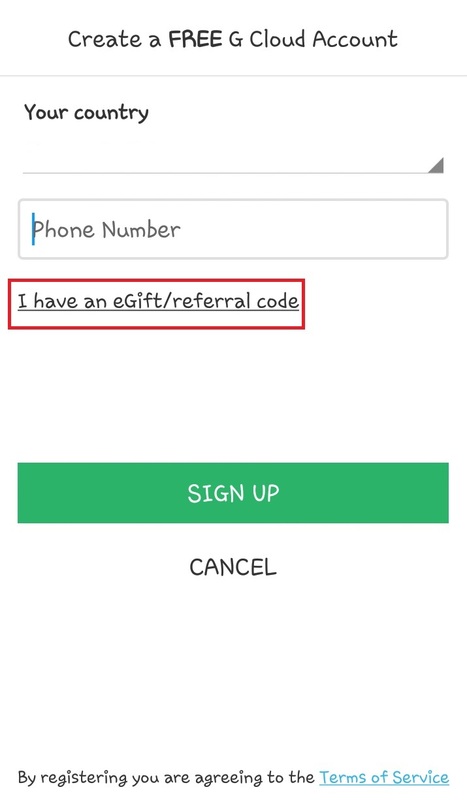 Just tap the I have an eGift/ referral code option, and enter it there.